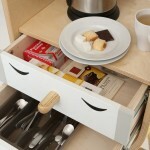 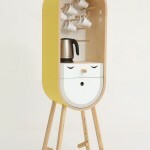 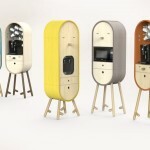 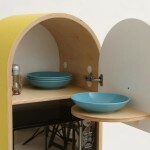 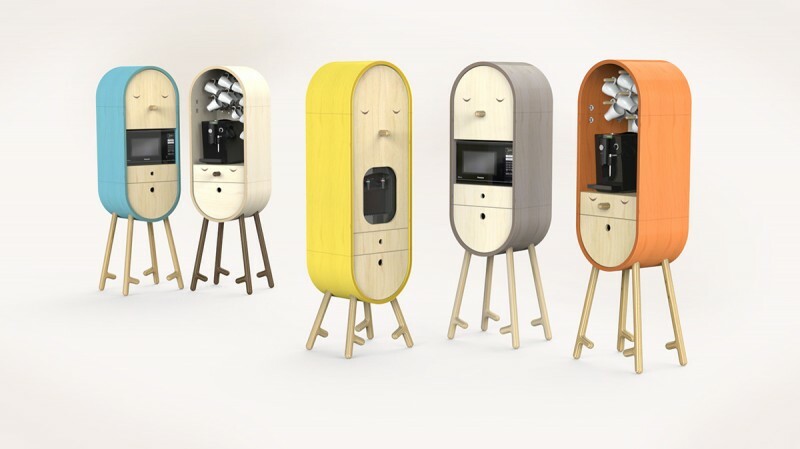 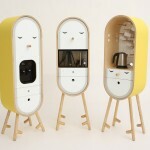 LO-LO is a capsular microkitchen from designers Tanya Repina and Misha Repin of Aotta Studio in Moscow. 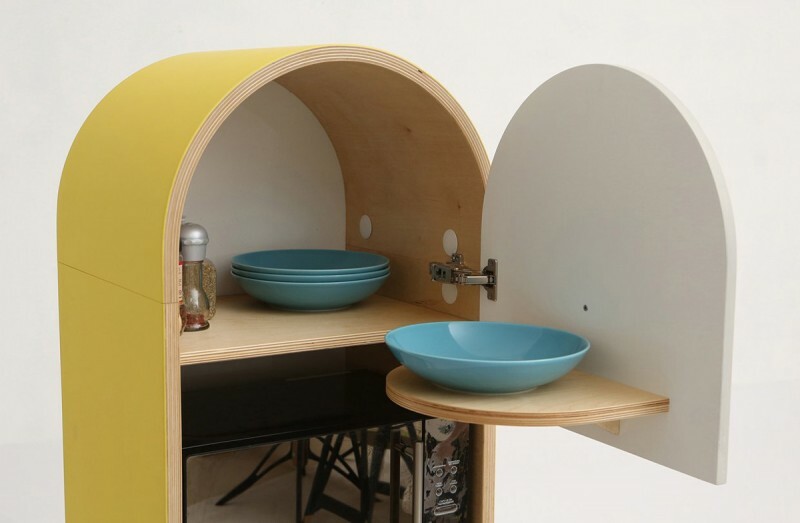 The family of three standing pods was designed for the basic office kitchen, but we could easily see the stylish pieces in a studio apartment. 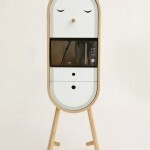 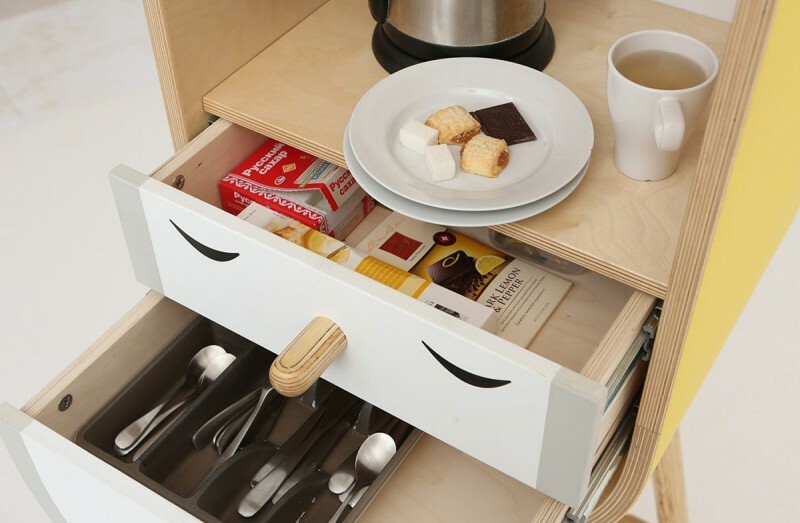 Each module is intended for a specific electrical appliances — a water cooler, microwave, and coffee pot — and its corresponding accessories such as cups, plates, cutlery, tea, and coffee. 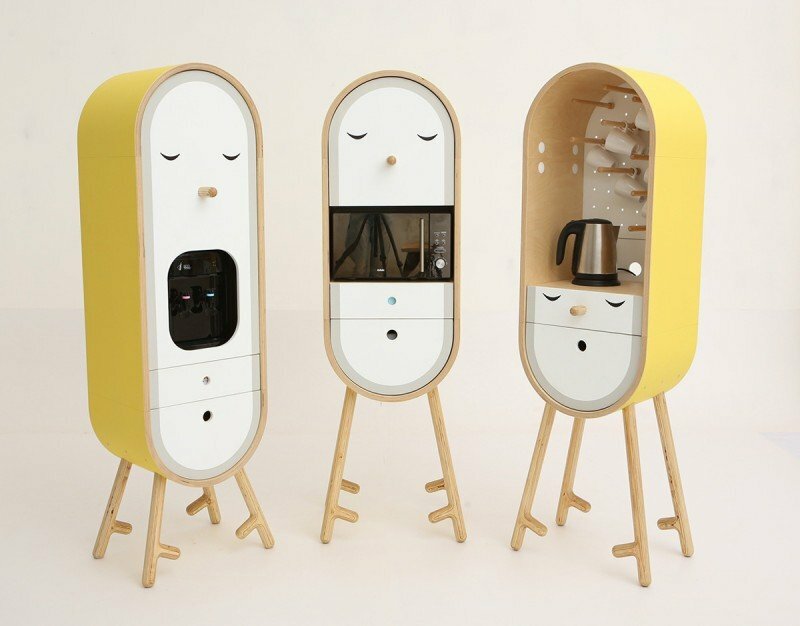 In addition to its peaceful, sleeping “face” and twig-like “legs,” LO-LO comes in a variety of color finishes, a cheerful addition to any bland office space.